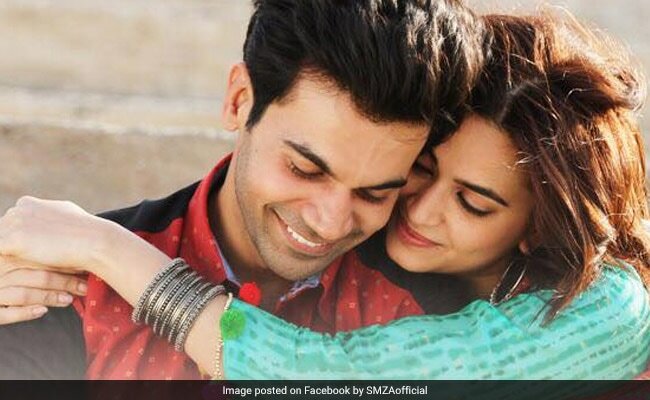 Small-town shaadi films are the flavour of the season, but this one, despite the presence of a solid-as-ever Rajkummar Rao, stinks to high heaven. A film that this actor, who is in the midst of a deservedly fine run, cannot rescue isn't worth rescuing. Shaadi Mein Zaroor Aana is such a terribly confused take on a girl who dares to run away from a wedding in order to pursue her career ambitions that, by the end of it, it is difficult to tell which side of the gender and ethical divide the film is really on. Debutante director Ratna Sinhaa wants to embrace everything in one go (anti-dowry, anti-corruption, pro-women's empowerment). In the bargain, her film winds up being a sorry hodge-podge of inanities that do more disservice than justice to the causes that it espouses. Does Shaadi Mein Zaroor Aana make a strong enough case against the evil of dowry? No. It actually appears to accept it as an unavoidable part of big fat Indian marriages. Does it go out all guns blazing on behalf of a woman's right to decide what is right for her? No again. It ensures that the rebel receives her comeuppance. Is its voice strident enough in railing against the corruption that gnaws at the vitals of our bureaucratic and administrative system? Not yet again. Actually, Shaadi Mein Zaroor Aana is a massive, uncontrollable cinematic blob that runs its tiresome two-and-a-half-hour course without ever getting its perspectives in order. That is a shame because the film starts off on a rather promising note and stays on course for roughly the first 30 minutes - this phase is devoted to an about-to-be-married couple's awkward courtship. And then the dowry blow is delivered. It is all downhill from here on. The boy's family demands dowry and gets it and the hero, who until this point had seemed like a reasonable guy with agreeable views, plays along without raising a voice in protest. To make matters worse, theirs is a conservative brood that believes that its bahu cannot step out of the house no matter how qualified or how talented she might be. Their orthodox beliefs are in consonance with those of the girl's stern father who has no patience for women who aspire to for independence from housework. So, despite his limited means, he agrees to cough up a huge sum of money for the bridegroom. Shaadi Mein Zaroor Aana is a love story set in Kanpur and centred on a Satyendra Mishra (Rao), a rookie excise department clerk whose life does a 360-degree turn following a personal setback, and Aarti Shukla (Kriti Kharbanda), a college topper eying a civil service job and wary of being trapped in the four walls of domesticity. The two decide they are made for each other after a cursory conversation in a café, where they meet without their parents and extended families in tow. Dowry amount agreed upon, it is time for the marriage vows. But even as struts around in her best wedding finery, Aarti receives the news that she has sailed through her state civil service examination on her very first attempt. Wat to go, girl! But should she go ahead with the wedding that might shut all doors on her face or risk the wrath of her dad and make a dash for a new life? Her decision hurts Satyendra's family and the man decides to settle scores for the affront. One bizarre twist after another is sprung upon the poor girl - never has a Hindi film heroine on this side of new millennium been subjected to such ignominy for the 'crime' of following her heart. How dare she defy the established order? In a bizarre turn of events, Aarti's act of self-assertion comes back, five years on, to haunt her in the form of the very man she loves. Humiliated and hounded, she has her nose repeatedly rubbed in the dirt. She suddenly seems to lose all her resolve and is unable to stand up and fight back. It is unlikely that Rajkummar Rao has ever had to play a role so sloppily written. Satyendra Mishra mutates from a self-effacing, sensitive young man to a vengeful lout whose actions fly in the face of basic human decency - and, of course, all the ideals that the film aspires to uphold. Female lead Kriti Kharbanda (Raaz Reboot, Guest Iin London) is a one-trick pony saddled with far too much load to carry in Shaadi Mein Zaroor Aana. She wilts under the weight while sticking steadfastly to a single expression to convey a range of emotions. 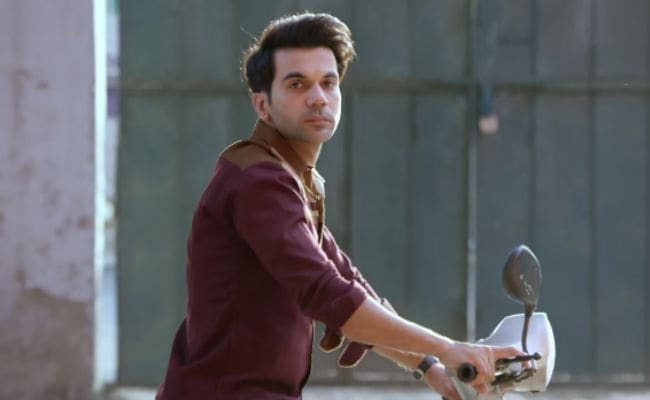 Her drawbacks stand out in sharp contrast to the formidable skills that Rajkummar Rao brings into play despite essaying a character hobbled by glaring inconsistencies. No matter what she is meant to be - joyous, chirpy, emphatic, rebellious, cornered, contrite or confused - Kharbanda does not let her feelings register on her visage. The actor's methods clearly need a reboot. The lead actors of Shaadi Mein Zaroor Aana are surrounded by a bunch of talented supporting cast members - K.K. Raina, Alka Amin, Govind Namdeo, Navni Parihar, Vipin Sharma, Manoj Pahwa - who do everything in their power to inject some semblance of sanity into the proceedings. But, no, they do not stand chance for it is all too flimsy and slovenly to be salvaged. Shaadi Mein Zaroor Aana? Ignore the invite. But if you still want to give it a shot simply because of Rajkummar Rao, heed this advice: he has done, and will do, infinitely better films? Wait for the next one.